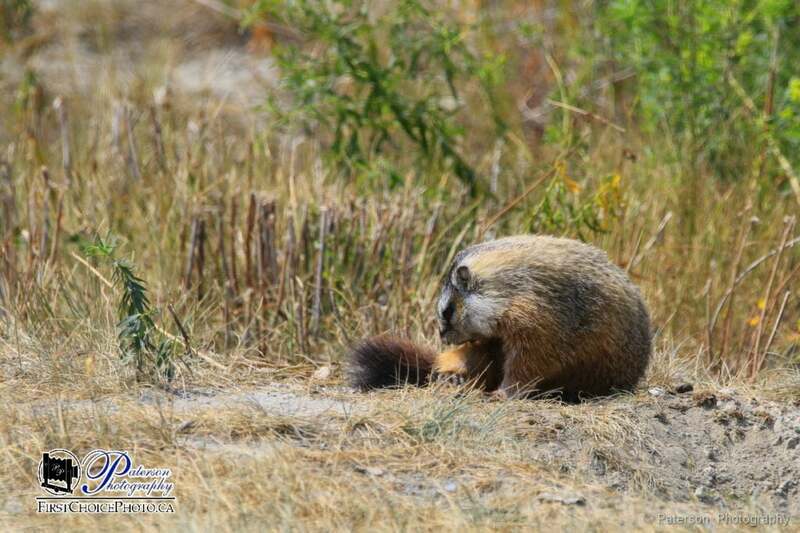 A Yellow-bellied Marmot, another one off the bucket list, a GREAT day!! Today I got to tick off one of my subjects on my bucket list. Without expecting it I came across a huge colony of Yellow-belly Marmots. I had heard they were in the area that I was in but never thought that I would see any, let alone so many. I was at the St Mary’s reservoir to go kayaking but the water level was low and I was not able to carry my kayak to the water myself so I got sidetracked when I saw the marmot and forgot completely about kayaking as I saw more and more. Marmot checking out the neighbors. Seeing the map of their range I really never expected to see this many as I thought that maybe there would be one or two but there are a lot!!! 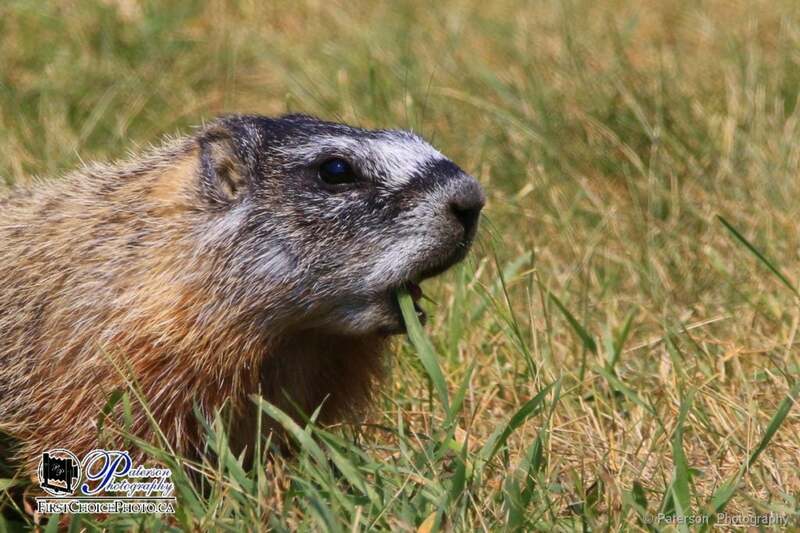 A number of years ago I bumped into a photographer from Montana that was in that region looking for a marmot, he was sent there by a Parks Canada employee that said they were there. I thought he was being led astray as I had been there a lot and had not spotted any. Today when I pulled up I immediately saw a marmot then two marmots and I was so happy. I was in the big van so I got a good location powered down the windows and started shooting. The nice thing about the big van is that I have everything within reach; cameras, lenses, food, water, bathroom and room to stretch without getting out. After about 30 minutes shooting I went for a short walk and saw many holes hidden by the tall grass. 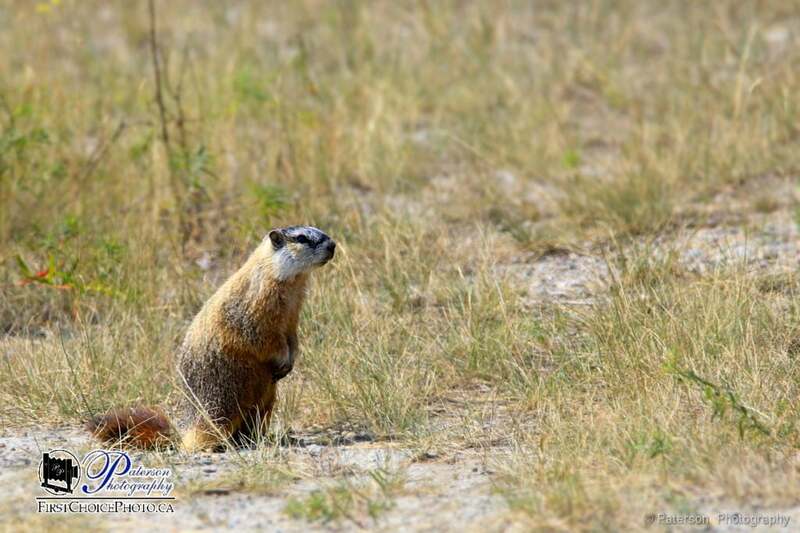 The marmots that I was photographing had disappeared so I went for a drive and BINGO more marmots. 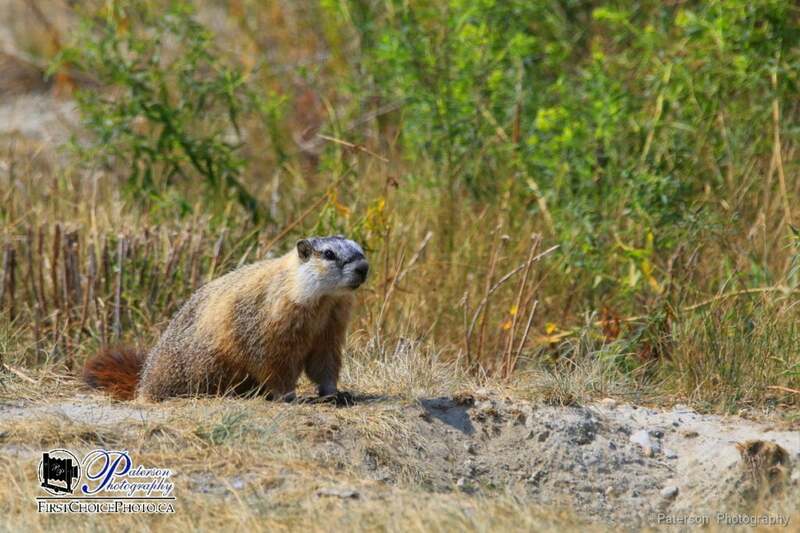 In total I found at least 5 marmots at different locations within a kilometer of the first one. It was late morning so I don’t know if other ones were in the burrows or if this is all in that area. I have to say that even without getting the kayak in the water it was a great day!! For more nature prints visit my gallery.